The Owen County Heritage & Culture Center is hosting its annual Christmas open house and caroling party on Friday, December 7th, from 7:00 p.m. to 9:00 p.m. The community is encouraged to stop by for holiday refreshments, socializing, Christmas caroling and music, and to check out the museum displays and the gift shop. Dan Wyatt will again be playing his beautiful accompanying music. 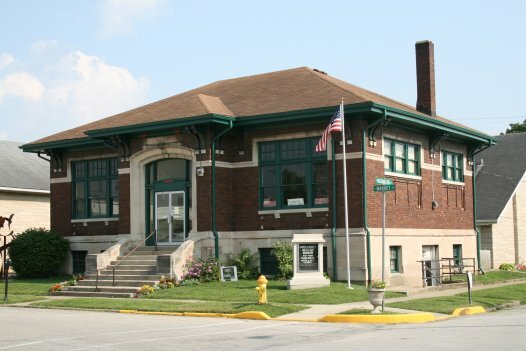 The Heritage & Culture Center is housed in the historic Spencer Carnegie Library. Unwind and enjoy the music of the season along with delicious homemade treats, including baked goods, candy, and finger sandwiches. Coffee, tea, hot chocolate, punch, and bottled water will also be served. As always, admission is free. Regular open hours for the Owen County Heritage & Culture Center museum, gift shop, and coffee shop are 9:00 a.m. to 1:00 p.m. Wednesday, Thursday, and Friday. Board meetings are held the second Monday of each month, usually at the Owen County Heritage & Culture Center at 4:00pm. Everyone is invited. The Craftsman style Carnegie Library Building built in 1911 on the Spencer Town square, served as a community library for 90 years. Document storage for Owen County was to be its use for the next 10 years. In 2005, the OCH&CC Committee was formed by a group of community leaders with the vision for a county-wide center to celebrate the past, present and future of Owen County. The Owen County Heritage & Culture Center strives to bring together the community through the promotion and sharing of our Owen County heritage and culture to enrich our everyday lives. We promote preservation of our artifacts, traditions, arts, crafts, customs and history through workshops, festivals, demonstrations, displays and educational programs. We need you!! This is a total community project that calls for many hands, ideas, and skills. If you or your group are interested in helping with this project through volunteer work and/or funding, or would like more information about available programs, please email one of the officers listed below or write to us at P.O. Box 676, Spencer, IN 47460.